Let's View Venonat! Pokemon One a Day! 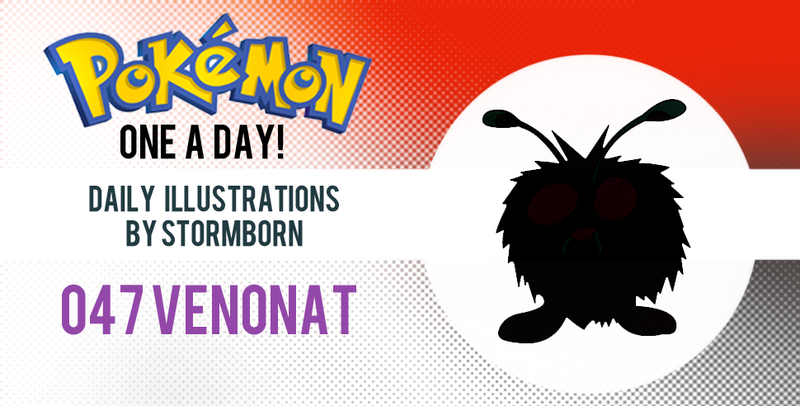 When it comes to Venonat, exploiting its deep dark secret was my intention when I first started art for it...Did you know that Venonat was originally intended to be Butterfree's first stage? The eyes, mouth with fangs, and stylistic hands as well as purple body are all identitcal to one another! That said, I wanted to tune my design towards Venomoth, its new next stage. That included changing its body coloring and dropping the level of purple down quite a bit. 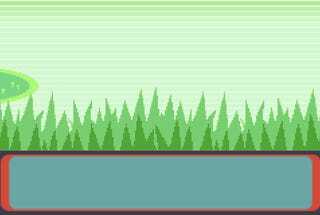 Since Venomoth is very pale, I wanted this stage to have a similar tone...However it got a little too bland so I saturated it a bit more. I explain this by stating that perhaps Venomoth has its color drained in an effort to highlight its poisonous nature, and that poison itself is very draining. I had quite some trouble trying to decide how to color and direct my flow. I got the outline done very quickly and was quite pleased with it - I gave Venonat the crest of Venomoth, albeit a smaller version, and used the abdomen design of the moth for this creature. Originally, I changed the eyes to look more like Venomoth's...However, having a slightly purplish round ball like Pokemon with big eyes looked eerily similar to Jigglypuff...And that didn't sit long so I had to go back to red eyes of the original and in that case, Butterfree's. It was starting to look unlike the original more and more, so maybe leaving the red eyes, which I did manage to change by having them slant more horizontally then sit vertically is a decent callback and makes it more identifiable. So anyway, Venonat isn't really a gnat, but some sort of furry insect like thing. I decided to make it more flea-like and stylize it into a puffball of sorts. I gave the creature tiny impractical wings to give a starting point into big wings as a moth. Oh, and to add more to the insect like nature, I added an extra set of hands, like I did for Beedrill...Except no crazy jousting arms or anything. There's not much else to note, other than the fact that I began experimenting with more brushes which is definitely something I should do more often! The feeling I got with the brush coupled with some effects here and there is very fuzzy, which is perfect for Venonat. And now we arrive at the end where I thank you for reading and viewing the art! I'll see you tomorrow...Hope you enjoyed the work! Parasect for your Persual! Pokemon One a Day!